With over 20 years of experience as a criminal defense lawyer and a life-long devotion to protecting the rights of the accused, attorney Elliot Silver is a strong ally when facing the harsh California justice system. No matter the charge, from marijuana to murder and everything in between, attorney Silver will vigorously defend you in your darkest hour. In the end, Silver gets results. When the flashing red and blue lights are blinding you, when you’re on the ground held at gunpoint, when you feel the click of handcuffs on your wrists, when the cold floor of the holding cell is chilling your bones, when seeing your name posted on the docket outside the courtroom makes you sick to your stomach, a lot of questions and fears will flood your mind: Will I go to jail? What will happen to my career? What will people think? No one is ever prepared for such an experience, and sadly it can happen to anyone. It’s incredibly frustrating to see all you’ve worked for slipping away or your good name being tarnished. You need a champion in court, one with a pedigree of success. Elliot Silver is your courtroom hero. Contact Silver Law Firm at (510) 995-0000 to schedule a free consultation and learn how attorney Elliot Silver can help you. When faced with a criminal charge, Oakland criminal defense attorney Elliot Silver has the extensive knowledge you need. He represents his clients with an unapologetic tenacity. He understands the California criminal justice system and carefully works on each case from start to finish. He will ensure that you know what is happening at every stage, and will help you choose the best legal option in your situation. Attorney Elliot Silver has taken more than 50 trials to verdict and knows how to achieve the best possible outcome, no matter the charge or situation. When Elliot Silver attacks a case, he meticulously evaluates every piece of evidence while challenging the prosecution’s case against you. He will seek expert opinions, cross-examine witnesses, and use extensive resources to build the strongest possible defense strategy. Elliot’s commitment to justice began over 22 years ago when he found his calling as a criminal defense attorney working for the Miami-Dade County Public Defender’s Office. In this role, Elliot learned how ruthless the justice system can be, and that it takes a certain type of individual to righteously and effectively fight for the accused. Elliot Silver is that individual. Tom McMahon graduated from Harvard Law School, where he was trained in the Criminal Justice Institute and Trial Advocacy Workshop by an elite selection of the nation’s top criminal attorneys. He has successfully defended clients all over the state of California – in twenty-eight different counties ranging from Humboldt to San Diego. Tom has won complete dismissals at every stage of felony criminal proceedings, from jury trials to post-conviction hearings. By negotiating early, and litigating aggressively, he’s convinced prosecutors and judges alike to dismiss all charges in pretrial proceedings, including successful 1538.5 and 995 motion hearings. Elliot was super supportive during a really hard time in my life, and he kept a promise to keep fighting for me and my case until he got the offer that would work for me. Mr. McMahon took the time to understand the details of my case and how he could apply the law in my defense. I went from facing two felony charges to a totally dropped case. I feel completely safe with my case in his hands, even with such major charges in front of me. Tom McMahon defended my Constitutional rights with blazing pen in hand. He out-wrote the District Attorney to shame. No matter the charge, attorney Silver is fully committed to you and will explore every option to eliminate your fears and find a path forward. Depending on the charges against you, a conviction or guilty plea could mean an enduring mark on your record, losing your license or job, paying staggering fines, or even considerable time behind bars. Even relatively minor misdemeanors will have a haunting impact, meaning that every charge needs to be treated seriously. You need a lawyer who is relentless about protecting your freedom and achieving an outcome that does not limit the rest of your life. This can include discussing plea arrangements with the prosecution, but more importantly at Silver Law Firm, we will approach every case as if it might go to trial. The ability to present a compelling argument in court will greatly influence your case. It can result in vindication through an acquittal or dismissal, but if a prosecutor believes they will fail to meet their burden of proof or a witness will not hold up to attorney Silver’s meticulous cross-examination style, they will be more willing to drop the charges, amend the case to something more in line with the facts, or offer a manageable sentence. Many attorneys avoid going to trial for several reasons: limited trial experience, lack of preparation, or they simply don’t have the necessary drive to obtain the best possible outcome. Attorney Elliot Silver is a different breed of lawyer and does not shy away from a trial. In fact, he relishes the opportunity to attack cases head-on. There is a lot to consider when you are charged with a crime, but your attorney’s resolve should not be a concern. Trust that when attorney Silver is in your corner, your advocate is fighting at every turn. Oakland criminal defense lawyer Elliot Silver can help you if you’re being investigated, have been arrested, or are facing charges for a crime. From investigation to final disposition and potential appeals, your attorney will need a formidable presence to represent your best interests. Attorney Elliot Silver dominates the courtroom. He is not intimidated by prosecutors, judges, or juries. He will take control of the situation and make sure your case is handled fairly. Silver Law Firm will aggressively defend you if you’re facing any criminal charge in California. If you’ve been arrested after an alleged crime was committed, the police and prosecutors have probably been investigating you for some time. These investigations usually stem from damaging accusations where your name came up. Once you are on law enforcement’s radar, the police will want you to think they are on your side, but they are not. The cops are gathering evidence that will eventually be used against you. You should only talk to the police after you have consulted with an experienced attorney. If you are being investigated as a suspect or a person of interest in a crime, you should seek help from a criminal defense lawyer right away. If you are questioned by police without an attorney present, a lot of the questions aimed at you are meant to trip you up, and your answers can be severely misconstrued. By having a knowledgeable attorney looking out for you from the beginning, your rights will be protected throughout the investigation process before any charges are filed. Making a statement to the police is a decision that must be considered very carefully. Only a seasoned attorney like Elliot Silver has the instincts to make such strategic decisions. Do not talk to the police until you consult Elliot. Over the past 20 years of legal practice, attorney Silver has cultivated an intimate knowledge of how law enforcement crafts their cases and what it takes to respond to their tactics. Police and prosecutors in the area know that when they are dealing with Elliot Silver, their every action and each piece of evidence will be scrutinized. If there were any missteps, violations of your rights, or if you were wrongly accused, attorney Silver might be able to help you avoid criminal charges before they are even filed. With more than 22 years of hard-earned experience under his belt, attorney Elliot Silver works diligently to protect the rights of those accused of crimes throughout California. Since the first time he saw a person behind bars, he has been dedicated to helping clients defend themselves against charges that will impact every aspect of their lives. Elliot will do what’s best for you in every situation, developing the best strategy possible so that you can get the results you deserve. 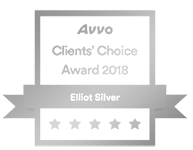 Silver Law Firm is dedicated to achieving the best results in every case. A criminal investigation can be a scary situation, and being charged with a crime can be devastating. Every area of your life will be affected, from your personal reputation to employment. Even your family will be impacted by criminal allegations against you. If you’re facing a seemingly impossible situation, seek the help of an Oakland criminal defense attorney with staunch dedication and understanding of the California criminal justice system.  Elliot Silver is an attorney you can trust. We are serious about defending your rights against illegal searches and seizures, invalid evidence, and overreaching charges. Silver Law Firm will dedicate time and resources to help you climb out of the situation you’re facing with a criminal charge. For experience that will get you positive results, contact Silver Law Firm today. Having your arms and legs shackled and feeling the slam of bars shutting behind you would send shivers through anyone, but that is not the only outcome in a criminal case. Don’t take a criminal charge in California lightly. Depending on the specific charges against you, you may face incarceration, probation, parole, and fines as penalties. You may also be required to pay restitution and complete community service. Luckily, there are also alternative punishments such as home detention, electric monitoring, community work programs, alcohol or drug treatment, and more. Your attorney can advise you about what sentencing alternatives are available in your situation, and if your penalties include mandatory time in custody. A uniquely skilled attorney like Elliot Silver will work with prosecutors or the judge, so you serve time through a custody alternative program, rather than actual incarceration. 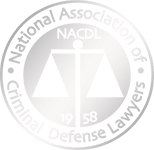 Additionally, there are several collateral consequences to a conviction outside of statutory punishments. Employers will usually avoid hiring someone with a criminal record, and the stigma attached to a conviction can never be removed in the court of public opinion. This makes it imperative for anyone charged with a crime to vigorously preserve their criminal record. Attorney Elliot Silver understands what you are up against and why it’s imperative to spare yourself from such harsh punishments. He has seen people behind bars and can help eliminate your fears. As a young public defender, Elliot became dedicated to aiding those who don’t deserve to have the book thrown at them. He is ready to help you, too. Silver Law Firm defends clients throughout the entire San Francisco Bay Area as well as surrounding counties. We serve clients in the following counties: Alameda, Contra Costa, Marin, Solano, Sonoma, and Napa. The California criminal justice system can be unforgiving. When facing a difficult investigation or complex charges, you need Silver Law Firm on your side. Are you being investigated for or have you been charged with a crime? You should never speak with law enforcement before contacting an experienced criminal defense lawyer at Silver Law Firm. Attorney Elliot Silver knows the tactics the police and prosecutors will use against you, and he will fight them. We have the knowledge, skills, and resources you need. We are here to get to know you, review the case against you, and give you an objective look at your options. By working with attorney Silver, you gain a champion advocate who is ready to prioritize your needs, rights, and freedom. There will be a lot of thoughts and fears racing through your mind if you’re facing criminal charges. It’s natural, and we understand that your primary concern may be keeping your job and maintaining a sense of normalcy for your family. You may also be concerned about what will happen to your children if you go to jail. Attorney Silver wants to hear your side of the story, and will make sure your voice is heard. Elliot Silver is an experienced attorney that will get the job done. Contact Silver Law Firm online today or call (510) 995-0000 to schedule a confidential, initial consultation. He will answer your call, text, or email right away.